That said, it's important that we reserve our rights to defend the IP here. There may be certain custom skins (Nazi Teemo!) that we may have a legitimate masalah with. And there are other modifications (Zoom hack!) that are a certifiable balance issue and need to be prevented. Custom creation will always be at your own risk - updates may break functionality, etc. But we also aren't going to just toss out arbitrary bans. It's not in our players' interests, and so it's definitely not in ours. This statement original source is from LoL North America forums and its dated way back 2012, posted by Lomar, an associate producer in LoL NA forums. Before explaining further the punishment for these hacks, Let us know first what are these hacks, the mod skin and other third party applications. 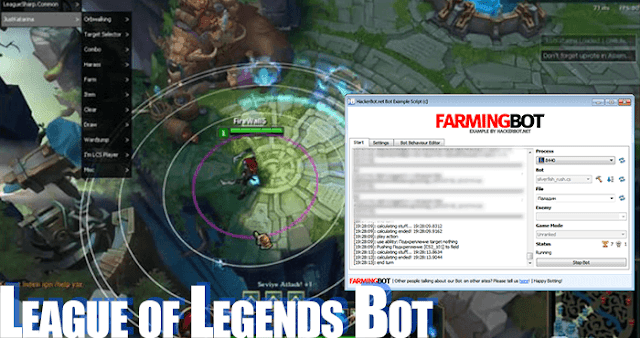 It is a software that used to change default skin of LoL to premium skins from Riot or modified skins created by others. It's a free software, and what's the catch? Maybe it was a inserted with malware, we don't know the motives of the creator of the Mod Skin. Here's a sample screenshot of Mod Skin LoL showing Iron man Brand. Jungler Timer Tool is a hack tool which benefits junglers. Jungle Timer lets you know exactly when a camp or neutral monsters/units are going to respawn . This tool will display a countdown for all camps: wolves, red buff (lizard elder), blue buff (ancient golem), wraiths, rift herald, dragon and baron nashor. Some jungle timers are overlayed, others injected into the game, some keep track automatically, others need to be triggered manually. ARAM Health Relic Timer Tool will let you know exactly when will the Health relic will respawn. 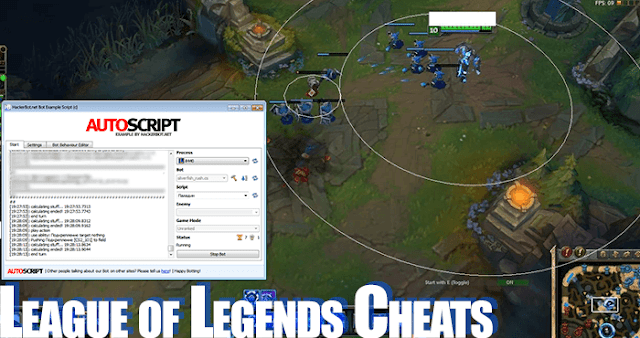 Scripting or Scripts is another way of referring to the use of bots in order to perform certain actions: Scripts can automatically react to your environment and do things like automatically ignite, smite, heal, ect, they can automatically use flash or movements to dodge certain skill shots, scripts can automatically unleash a champions whole combo. Scripts can perform a lot of other actions either at the press of a button or automatically once the environment dictates it: Automatically activating potions (HP, Mana), automatically using item actives, such as Zhonya's Hourglass, etc. What scripting essentially does is to replace human abililty with PC generated output. Range Display hack displays the range of different game mechanics: your auto attack range, tower range, enemy vision range, enemy attack range, spell range, smite range, ignite range and even experience range. This tool will allow you to turn different overlays on and off. Generally, it displays range by simply drawing a cycle around a champion or tower. Camera tools allow you to gain a tactical advantage by increasing your field of view and camera customization. Certain Zoom Hacks allow you to see the whole map, zooming in and out as far as you would like and thus give you a lot more information and flexibility than you would usually have with the fixed default zoom in League of Legends. 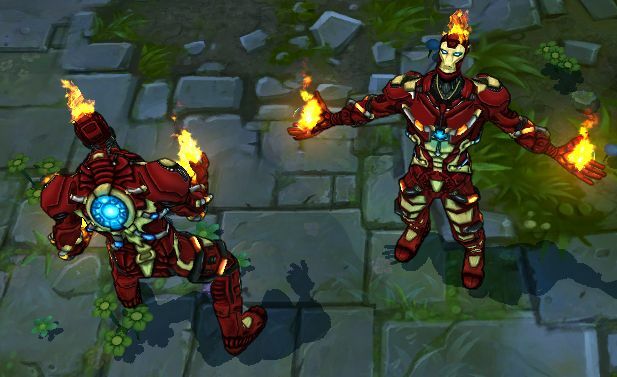 And now we already knew what are the uses of mod skin and other third party applications used in LoL. No software should interfere directly with the in-game player experience, from when you press “Play” to the end-of-game screen. Competitive games work because each player is afforded the same amount of information about the game and other players. Third-party applications are programs or files that aren’t part of League of Legends. Applications we take issue with are those which impede the competitive nature of League of Legends. 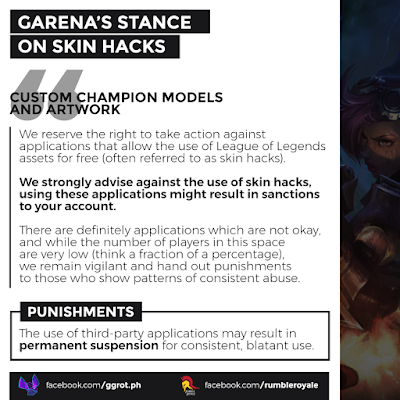 We reserve the right to take action against applications that allow the use of League of Legends assets for free (often referred to as skin hacks). We strongly advise against the use of skin hacks, using these applications might result in sanctions to your account. There are definitely applications which are not okay, and while the number of players in this space are very low (think a fraction of a percentage), we remain vigilant and hand out punishments to those who show patterns of consistent abuse. The use of third-party applications may result in permanent suspension for consistent, blatant use. If these applications were used to gain rating in ranked, we may also remove the account’s ranked rewards for the season. To avoid your account being banned, follow the reminders given by Garena regarding mod skin and third party applications. These reminders are for the benefit of all, a League of Legends PH with no hack is equivalent to fair gameplay and healthy community.